Did you know Marks & Spencer began on a market stall in Leeds? Or that beach pyjamas were an M&S bestseller in the 1930s? Join the M&S Company Archive as they bring the M&S story to life. Discover how Michael Marks first came to West Yorkshire in 1884, find out how employees during the Second World War dealt with clothing rationing and learn what shoppers in the 1960s thought of mini-skirts. 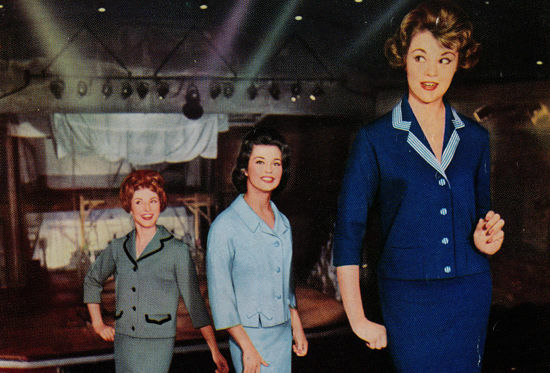 Characters from M&S past will wear original outfits from the Archive’s handling collection. From glamorous 1930s leisure wear to swinging sixties mini-skirts and 70s flares we’ll take you through the fascinating story of fashion at M&S. Ticket includes tea and cake after the performance.